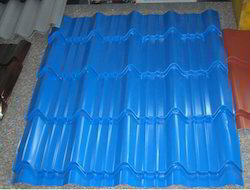 We are offering a vast range of Roofing Sheets as per our client's requirement. Our range is known for the features like corrosion resistance, superior quality, dimensional accuracy, ability to withstand extreme weather conditions and longer working life. We are looking for queries for Industrial Products from Coimbatore & Around including Booluvampatti, Sulur, Malumichampatty, Saravanampatti, Kurichi & Gudalur. We are the Largest Supplier of Gutter Sheet in India, South India,Tamil Nadu at Coimbatore, Madurai, Salem, Erode, Tirupur, Kanya kumari, Tirunelveli, Dharmapuri, Tuticorin, Nagercoil,Trichy, Dharmapuri, Pudukottai,Krishnagiri, Hosur,Thanjavur, pattukottai,aranthangi, aruppukottai, rajapalayam, sivakasi, koilpattai, tenkasi, viruthunagar, dindugal,mettur, sathur, and all over tamilnadu. We are the Largest Supplier of Pre Coated Roofing Sheet in India, South India,Tamil Nadu at Coimbatore, Madurai, Salem, Erode, Tirupur, Kanya kumari, Tirunelveli, Dharmapuri, Tuticorin, Nagercoil,Trichy, Dharmapuri, Pudukottai,Krishnagiri, Hosur,Thanjavur, pattukottai,aranthangi, aruppukottai, rajapalayam, sivakasi, koilpattai, tenkasi, viruthunagar, dindugal,mettur, sathur, and all over tamilnadu. We are the Largest Supplier of Pre Painted Roofing Sheet in India, South India,Tamil Nadu at Coimbatore, Madurai, Salem, Erode, Tirupur, Kanya kumari, Tirunelveli, Dharmapuri, Tuticorin, Nagercoil,Trichy, Dharmapuri, Pudukottai,Krishnagiri, Hosur,Thanjavur, pattukottai,aranthangi, aruppukottai, rajapalayam, sivakasi, koilpattai, tenkasi, viruthunagar, dindugal,mettur, sathur, and all over tamilnadu. 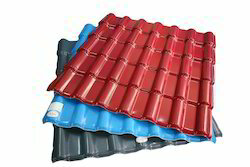 We are the Largest Supplier of Tile Roofing Sheet in India, South India,Tamil Nadu at Coimbatore, Madurai, Salem, Erode, Tirupur, Kanya kumari, Tirunelveli, Dharmapuri, Tuticorin, Nagercoil,Trichy, Dharmapuri, Pudukottai,Krishnagiri, Hosur,Thanjavur, pattukottai,aranthangi, aruppukottai, rajapalayam, sivakasi, koilpattai, tenkasi, viruthunagar, dindugal,mettur, sathur, and all over tamilnadu. 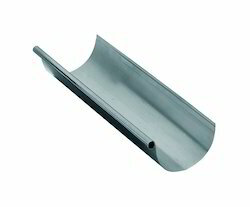 We are the Largest Supplier of Zinc Alloy Coated Roofing Sheet in India, South India,Tamil Nadu at Coimbatore, Madurai, Salem, Erode, Tirupur, Kanya kumari, Tirunelveli, Dharmapuri, Tuticorin, Nagercoil,Trichy, Dharmapuri, Pudukottai,Krishnagiri, Hosur,Thanjavur, pattukottai,aranthangi, aruppukottai, rajapalayam, sivakasi, koilpattai, tenkasi, viruthunagar, dindugal,mettur, sathur, and all over tamilnadu. 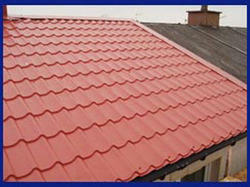 Our company has achieved laurels in offering Roofing Sheet to the clients. This product is made using high standard raw material and the latest technology in order to fulfill the diverse desires of clients. 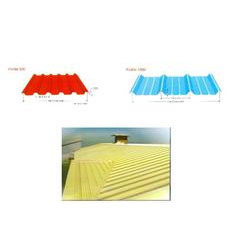 Roofing Sheet is extensively demanded in the market, owing to characteristics such as a long service life, an attractive design and finest efficiency. Offered range is known for high strength, simple installation, seamless finish and robustness. This product is verified by quality controllers on various measures to assure excellent performance. 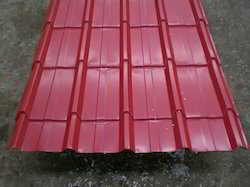 We are the Largest Manufacturers and Supplier Tile Roofing Sheets in India, South India,Tamil Nadu at Coimbatore, Madurai, Salem, Erode, Tirupur, Kanya kumari, Tirunelveli, Dharmapuri, Tuticorin, Nagercoil,Trichy, Dharmapuri, Pudukottai,Krishnagiri, Hosur,Thanjavur, pattukottai,aranthangi, aruppukottai, rajapalayam, sivakasi, koilpattai, tenkasi, viruthunagar, dindugal,mettur, sathur, and all over tamilnadu. We are the Largest Supplier of Industrial Roofing Sheet in India, South India,Tamil Nadu at Coimbatore, Madurai, Salem, Erode, Tirupur, Kanya kumari, Tirunelveli, Dharmapuri, Tuticorin, Nagercoil,Trichy, Dharmapuri, Pudukottai,Krishnagiri, Hosur,Thanjavur, pattukottai,aranthangi, aruppukottai, rajapalayam, sivakasi, koilpattai, tenkasi, viruthunagar, dindugal,mettur, sathur, and all over tamilnadu. 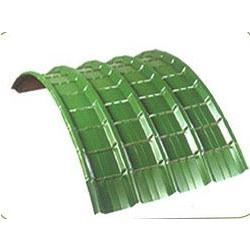 We are the Largest Manufacturers and Supplier Crimping Sheets in India, South India,Tamil Nadu at Coimbatore, Madurai, Salem, Erode, Tirupur, Kanya kumari, Tirunelveli, Dharmapuri, Tuticorin, Nagercoil,Trichy, Dharmapuri, Pudukottai,Krishnagiri, Hosur,Thanjavur, pattukottai,aranthangi, aruppukottai, rajapalayam, sivakasi, koilpattai, tenkasi, viruthunagar, dindugal,mettur, sathur, and all over tamilnadu. 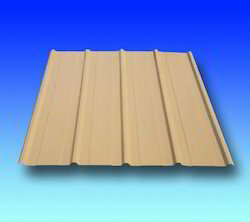 We are the Largest Supplier of Roofing Profile Sheet in India, South India,Tamil Nadu at Coimbatore, Madurai, Salem, Erode, Tirupur, Kanya kumari, Tirunelveli, Dharmapuri, Tuticorin, Nagercoil,Trichy, Dharmapuri, Pudukottai,Krishnagiri, Hosur,Thanjavur, Pattukottai, Aranthangi, Aruppukottai, Eajapalayam, Sivakasi, koilpattai, tenkasi, viruthunagar, dindugal,mettur, sathur, and all over Tamilnadu. We are the Largest Manufacturers and Suppliers of of our Products Colour Coated Roofing Sheet in Tamil Nadu at Coimbatore, Madurai, Salem, Erode, Tirupur, Kanya kumari, Tirunelveli, Dharmapuri, Tuticorin, Nagercoil,Trichy, Dharmapuri, Pudukottai,Krishnagiri, Hosur,Thanjavur, pattukottai,aranthangi, aruppukottai, rajapalayam, sivakasi, koilpattai, tenkasi, viruthunagar, dindugal,mettur, sathur, and all over tamilnadu. 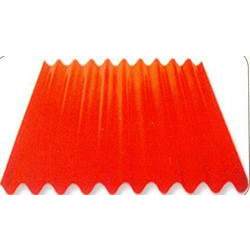 We are the Largest Supplier of Coated Roofing Sheet in India, South India,Tamil Nadu at Coimbatore, Madurai, Salem, Erode, Tirupur, Kanya kumari, Tirunelveli, Dharmapuri, Tuticorin, Nagercoil,Trichy, Dharmapuri, Pudukottai,Krishnagiri, Hosur,Thanjavur, pattukottai,aranthangi, aruppukottai, rajapalayam, sivakasi, koilpattai, tenkasi, viruthunagar, dindugal,mettur, sathur, and all over tamilnadu. The company is into the manufacturing of superior quality pre painted galvalume sheets that are used for a variety of purposes and are applicable in various areas. 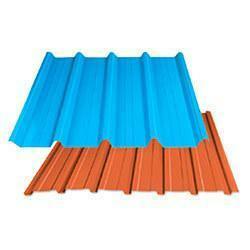 These sheets are rust free, have a very sturdy construction and they are made very precisely. These sheets are tested to check their quality at every stage of production to ensure that the product is high on quality and very reliable. These sheets can also be got customized as per the requirements and the specifications of the clients. 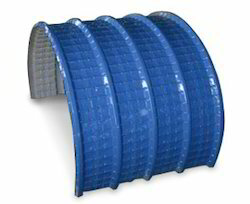 Steel World corrugation profiles are available in wide range of colors and thicknesses. 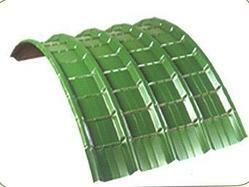 It can be supplied in standard or customized lengths as per client’s requirement and need. This profile is cost effective, economical and can be supplied from ppgi ( pre painted galvanized iron ), bare galvalume and pre-painted galvalume materials. We are the Largest Manufacturersed and Suppliers of of our products Corrugated Profile in Tamil Nadu at Coimbatore,Chennai Madurai, Salem, Erode, Tirupur, Kanya kumari, Tirunelveli, Dharmapuri, Tuticorin, Nagercoil,Trichy, Dharmapuri, Pudukottai,Krishnagiri, Hosur,Thanjavur, pattukottai,aranthangi, aruppukottai, rajapalayam, sivakasi, koilpattai, tenkasi, viruthunagar, dindugal,mettur, sathur, and all over tamilnadu. Our "steel world" tile sheets are very versatile in function. They enhance the aesthetics of any home that uses it without sacrificing traditional look. They come in variety of colors and also in light weight, making it an ideal choice. "steel world" tile sheets are easy to install and integrate seamlessly with other accessories like rainwater systems. They are highly durable in nature. Moreover, they are resistant to extreme weather conditions, as they have excellent corrosion resistance and good heat reflection properties. We are the Largest Manufacturers and Suppliers of of our Products Crimping Profille in Tamil Nadu at Coimbatore, Madurai, Salem, Erode, Tirupur, Kanya kumari, Tirunelveli, Dharmapuri, Tuticorin, Nagercoil,Trichy, Dharmapuri, Pudukottai,Krishnagiri, Hosur,Thanjavur, pattukottai,aranthangi, aruppukottai, rajapalayam, sivakasi, koilpattai, tenkasi, viruthunagar, dindugal,mettur, sathur, and all over tamilnadu.